Temperature greatly affects flowers in a sense that it can make it last longer or wither it quickly. Humidity and temperature that expose fresh cut flowers have a great influence on their exterior and longevity once positioned into a bud vase. The preferred temperature for plants ranges normally from approximately 0 degree Celsius to 40 degrees Celsius. Exceeding and decreasing temperatures can cause harmful effects on plants or its flowers. To maintain cut flowers and make their life longer, keep in mind that they have been detached from their supply of water (roots) and will wither rapidly if not placed in water. Cut stems should be in the water right away. Air will swiftly budge into the plant’s tissues and close the cells. Hence, the freshly cut flower that hasn’t been in contact with water more than a few minutes must have a small segment of the lower stem cut off in order for the water to move up generously when it is put back to water. Cutting the flower from the stem can be made under-water to guarantee that no air enters the stem. Early morning is the best time to cut fresh flowers. The effects of temperature on your plants in the morning are ideal. The flowers are then exposed to the morning dew and the cool night air. At this time, the stems are still full of water and carbohydrates. Hence, they are still firm to touch. As the day goes by and warms up, flowers progressively dehydrate. Noontime is the least desirable time to cut fresh flowers, as transpiration rates are at their climax and plants quickly lose moisture through the leaves. Flowers become wilted; their necks bowed. If you will cut them at this rate, they will not restore their form well and their vase life will most likely be short. Always use clean, sharp tools when cutting flowers. Never use ordinary shears in cutting for it may crush the vascular systems of the fresh flowers and preclude the intake of water properly. A pair of scissors like this is intended to cut papers or art materials and not stems which are firmer and bulkier. For solid stems that are hard to cut, you can use shears or pruning tools to properly cut them. There are other pruning and cutting tools suitable for you. To properly cut the flowers, have it one-inch tall from the end of the main stem. Make the slice slanting at an angle of 45 degrees. Cutting this way can provide a higher possibility of water intake because of the larger exposed area. It also allows the stem to a position on a point, allowing water to get in touch with the area of the cut. Cutting the stem straight or horizontally will block the water from entering the stem. Having the right effect of temperature on the plant will be wasted if the stem couldn’t uptake the water properly. Most professional florists and business owners always make use of lukewarm water for their freshly cut flowers. The temperature of the water should be 100 degrees F to 110 degrees F. Molecules from warm water can move quicker than those from cold water, so it can be taken up by the flowers without difficulty. Remember, your aim is to allow water to be taken up by the stem to the head as quickly as possible. Just be considerate to the flower and research well. 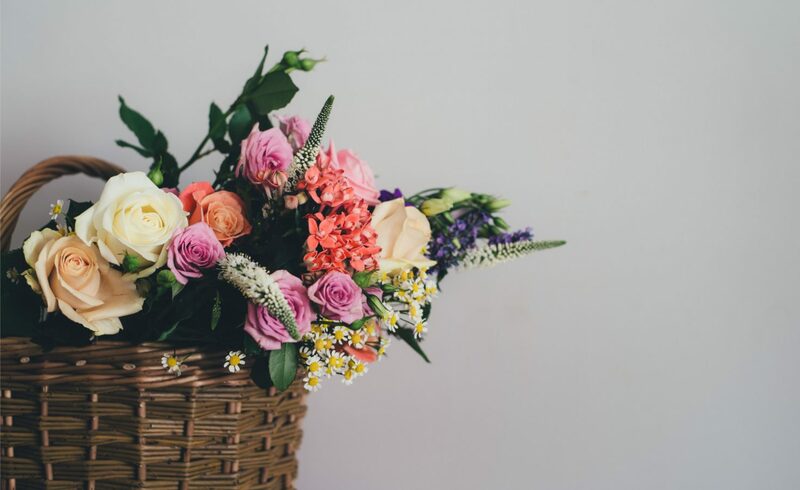 Some flowers most likely can survive and last longer using cold water such as tulips and hyacinths– unlike roses that are weaker during the low temperature. In harvesting, you should always have a bucket of water prepared to where the flowers should be placed. They are like fishes that need to be in contact with water when on land. It’s much better to use a plastic pail. Pail made with metal can affect the PH balance of the water which in turn affects the freshly cut flowers. It’s also a great idea to keep the flowers hydrated by spraying water on them before cutting. It could be harmful to the flowers to be sprinkled with water using a hose. Sprinklers could help you a lot with this task. Most plants have a variety of temperature at which growth takes place. Some plants are more flexible (such as grass) and can grow all through the range while other plants have more precise temperature necessities. So, if you are someone who’s interested in plants, try researching first on how to nurture a specific plant and the effects of temperature to them.